How not to store your paddles. Our paddles were the first serious piece of kit we purchased, so we’ll launch this occasional series with them. 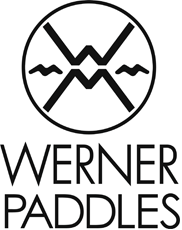 Here’s what we learned from Danny Mongno, regional sales manager and field marketing coordinator for Werner Paddles. The ferrule is the most sensitive portion of a take-apart paddle. This precisely machined part can get jammed, turning a previously two-piece paddle into a one-piece paddle; or the release button can get stuck, causing unexpected two-piece paddle experiences on the water. So treat the ferrule kindly. After each use, rinse it with fresh water and allow it to dry with the ferrule pointing down. Never use any type of lubricant on the ferrule or release button because it can attract dirt or grit. If the button is stuck in, gently press it out with a screwdriver. Keeping the ferrule clean with leftover drinking water. 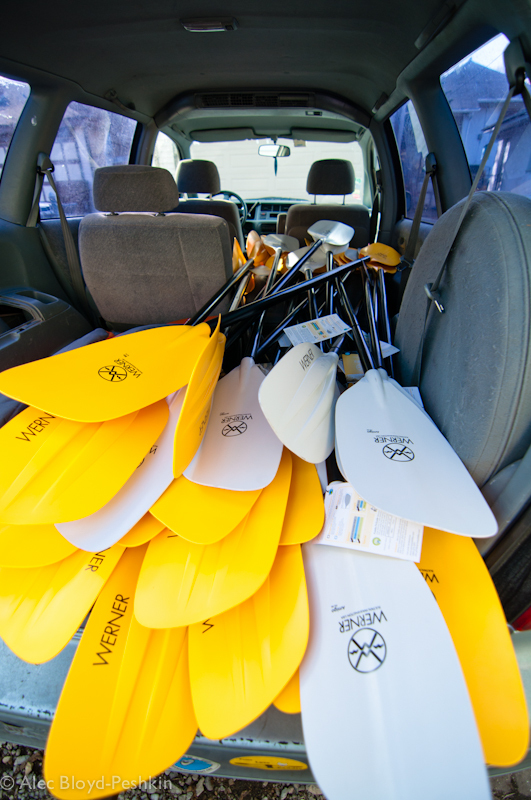 Paddles can be damaged if other gear is stacked on top of them, so load them last and make sure they’re clear of closing trunk lids and doors. At home, keep them in a dedicated storage area where they won’t fall over or be stepped on. You may know exactly what your paddle looks like, but it can get lost in a sea of similar paddles when you go out with a group. Put your name and phone number on your paddle; this makes it less likely that someone will accidentally take it, and more likely that it will be returned if you lose it. If your paddle is damaged, contact the manufacturer before doing any repairs. 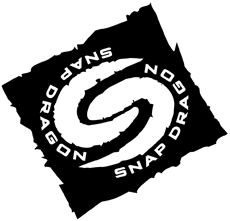 Most paddlesports companies offer repairs for a fraction of the cost of new gear, and they are happy to provide information about doing your own repairs when that’s advisable. So call them before you bring out that tube of Aquaseal or that fiberglass repair kit.